In 1967, at age 19, John Stillman - refusing to wait for the draft - voluntarily enlisted in the Army to aid his fellow countrymen in one of the most opposed involvements in our nation’s history: the Vietnam War. Quickly falling in love with the rush of being a paratrooper with the 101st Airborne, he believed his service would honorably help the South Vietnamese protect their country from the ruthless communist North and their Southern allies. But once in the volatile jungles of Vietnam, the merciless hunting and killing of the enemy, constant threat of landmines and booby traps, ambushes that could easily backfire, and deaths of his comrades made Stillman question how any man - if he survived - could ever return to his life as he’d known it. 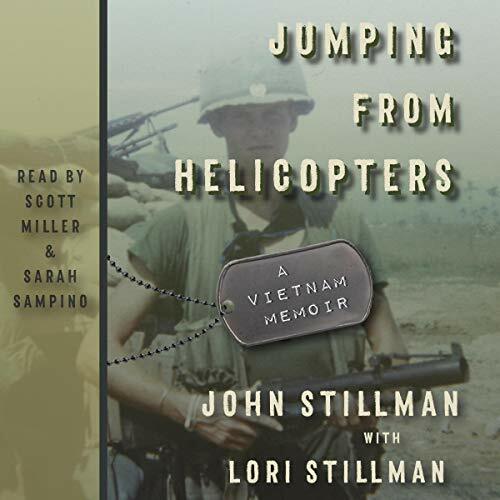 Written with John’s daughter, Lori Stillman, Jumping from Helicopters is a vivid and moving memoir that unearths 50 years of repressed memories with stunning accuracy and raw details. Interwoven with the author’s own journal entries, it is a story that will open your eyes to what these brave young men witnessed and endured and why they returned facing a lifetime of often unspoken unrest, persistent nightmares, and forced normalcy, haunting even the strongest of soldiers.